The St. John’s Regional Fire Department wishes to remind all citizens that due to the current high index and dry windy conditions, a fire advisory is presently in effect. 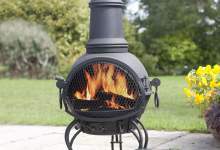 All permits for open air fires are banned, however contained fires such as chimineas and barrels with spark arrestors are permitted. In the meantime, the St. John’s Regional Fire Department is asking people to be fire safe when using barbecues, chimineas and burning in barrels and to keep a hose or fire extinguisher handy. Please ensure to fully douse fire when you are finished. Equipped with a spark arrestor and/or screen to prevent escape of sparks and/or embers. Attended by someone with access to a fire extinguisher, bucket of water or another water source while operating. A copy of the complete regulation(s) can be obtained on the City of St. John’s website.